Stuff - Week One "What Do You Worship?" This week is the beginning of the season of Advent. At this very moment, I am listening to the David Crowder Band's Christmas album. This is the first Christmas music I have heard since last Christmas. I have also cranked down the air conditioning in my office so that it will actually feel a little like the beginning of Advent. It's literally 80-something degrees outside. Florida. 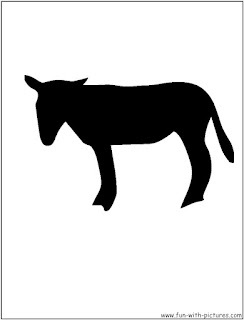 What can you do. 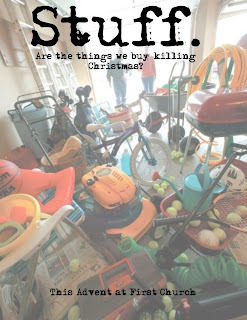 This Sunday I am beginning a new sermon series for Advent entitled, "Stuff: Are the Things We Buy Killing Christmas?" Watch this video from the TLC series, "Hoarders: Buried Alive." How does this kind of compulsive behavior emerge? How do people spend their life savings, and go into ruinous debt because they can't stop buying things that they don't need? Here's the news... if it wasn't for garage sales and storage units there would be a lot more people like this unfortunate woman. Because in our culture, we buy stuff. A lot of stuff. And around Christmas time we buy even more stuff. Here's a question for you, "Is your garage a temple?" Do you feel as though your garage is a place of worship? Do you find yourself drawn to your garage when you want to pray or to sing "Lord I Lift Your Name on High?" What about that storage unit that you rent? Or what about your closet? Do you ask your friends in church to come over to your house for a little Bible study in your closet? If this sounds ridiculous, it's because it is. But then again, Jesus told his disciples once, "Wherever your treasure is, there is where you heart can be found." And for many of us, our treasure (if you want to call it that) is what fills our closets, our storage units and our garages. We might scoff at the notion that these have become temples for us, but our actions tell another story. You see, What we participate in, more than what we say, reveals the heart of our worship. Paul is addressing some serious issues here in this passage. Let's be honest. When wasn't Paul addressing some serious issues, am I right? There are basically three gists to this passage, however: First, Paul addresses the nature of the Lord's Supper--what it means. Second, he speaks pretty strongly against idolatry and how quickly and easily we participate in it. Then he winds it up by saying pretty unequivocally that idolatry and the Lord's Supper don't mix. One can surmise from that last bit that Paul would extend his notion of idolatry not mixing to the Christian life in general. But back then the Lord's Supper was a fairly important aspect of the early Church's life together, so it was undoubtedly implied. The only writer of the New Testament to use this form of "flee" is Paul, actually. And he really means it. In vs. 16 Paul writes about the "cup of thanksgiving," which speaks to the 3rd cup of wine that was drunk at Passover. Clearly he is talking about the Lord's Supper here and he begins to get closer to it's meaning in vs. 17 when he talks of eating from "one loaf." This speaks to the unity that we share as Christians when we gather and break bread and drink from the cup together. Paul indicates that when we share this meal, we are participating in the body and the blood of Christ. It's clear that this is more than just a remembrance meal. There's a sense that when Christians partake of the Lord's Supper, they are somehow proclaiming that they are "all in" when it comes to following Christ. Then Paul does something strange, he begins to talk about "eating sacrifices???" Here's what this means... In the ancient world the Israelites were permitted to eat portions of the animal sacrifices that were offered to Yaweh, while other portions were burned up "by God." Paul uses this as an example of how they "participated" in the sacrifice with God. What Paul is doing here is making sure that his Jewish/Christian audience understands that what you do more than what you say reveals more about who we really are. Because the issue that he brings up is Christians who eat meat that have been part of sacrifices to idols, which he equates with eating food "offered to demons." Pauls then goes on to tell his hearers that they "cannot drink" of the cup of the Lord and the cup of demons. In the world of ancient Rome, pagan worship was diverse, and everywhere. You could not avoid the smell of sacrifice in virtually every city. And there was a huge industry between pagan temples and the marketplace. Whatever wasn't burned up in sacrifice was sold to the marketplace where people would go to buy food. It was a corrupt system where people would offer up their livestock and then basically have it sold back to them at a premium. Oh, and Paul indicates that God is "jealous" when people support the evil powers opposed to God and that are destructive of human well-being. When I worked for Best Buy, Co. back in the day I was the assistant store manager of one of the busiest stores in South Florida. One Christmas the hot gift was the brand new Nintendo 64 game system. Everyone wanted one. HAD to have one. We didn't have many in stock. On Black Friday we had people lined up outside the store to get a shot at one. The crowd crushed against the door so hard that it broke the entire door. One of my staff nearly got trampled when the doors gave way and people began pouring into the store. People have been killed on Black Friday in similar scenes. Remember the stories of people fighting over Tickle Me Elmo dolls, or Furbees or Cabbage Patch dolls? Most of the people who HAD to have these things probably can't remember what happened to them. But still every Black Friday we line up outside stores waiting to get in so we can get the next big thing. There is what we say... and then there is what we do. What we do reveals more about who we really are. Why don't we take this a bit farther. 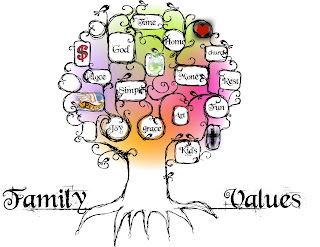 Our stuff and the way we pursue obtaining it, revelas even more about who we are. Then we fill the real temples of our life with stuff sacrificed to idols. And make no mistake, Consumerism, Materialism and Acquisition are idols. But how is this demonic? Was Paul just being over the top? I don't think so. Demons could be described as false gods seeking human worship. So follow me on this... What is more false than a garage full of stuff that you don't need? When we participate in the worship of Materialism, Consumerism and Acquisition we very well could be going along with the plans for the demonic. You see, the Enemy (aka Satan, The Devil, Lucifer, the Evil One) is real, and so is the Evil that the Enemy actively perpetuates. The Devil wants nothing more than for Christ-followers to look and act just like everyone else---to eat food sacrificed to idols, so to speak. 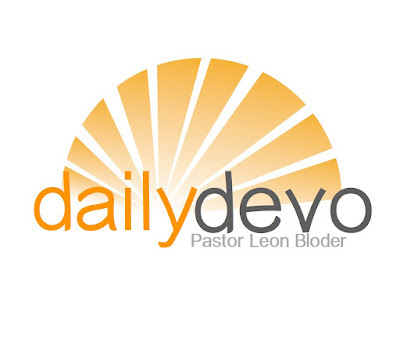 So if the Enemy can paralyze our finances with stuff that we have to buy, and keep us from living, saving and giving generously, then the Enemy has won. And the Enemy especially loves it when Christ-followers cry and moan about how Christ isn't in Christmas, but then go out and spend money like crazy people to fill up our temples where we worship the gods of stuff. What we participate in, more than what we say, reveals the heart of our worship. This year, it's time for Christians to push back against the demands of those false gods, those demons that want to destroy our well-being. Make different choices this year. Reduce the amount of money that you're spending on Christmas gifts to what you can afford, and then take it one step lower. If you want to spend money on something, make a huge meal for your family and friends and have memories at the end of it all instead of credit card bills. Don't let anyone tell you that it is your patriotic duty to go out to the mall and try to save the poor retailers from a dismal Christmas buying season. If you don't got it, don't spend it. Because What we participate in, more than what we say, reveals the heart of our worship.